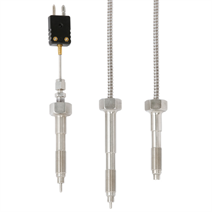 The TC47-MB melt bolt thermocouple is a general purpose temperature sensor designed to suit specific applications on extrusion machines. An extensive range of elements and process connection lengths can be individually selected for the appropriate application. 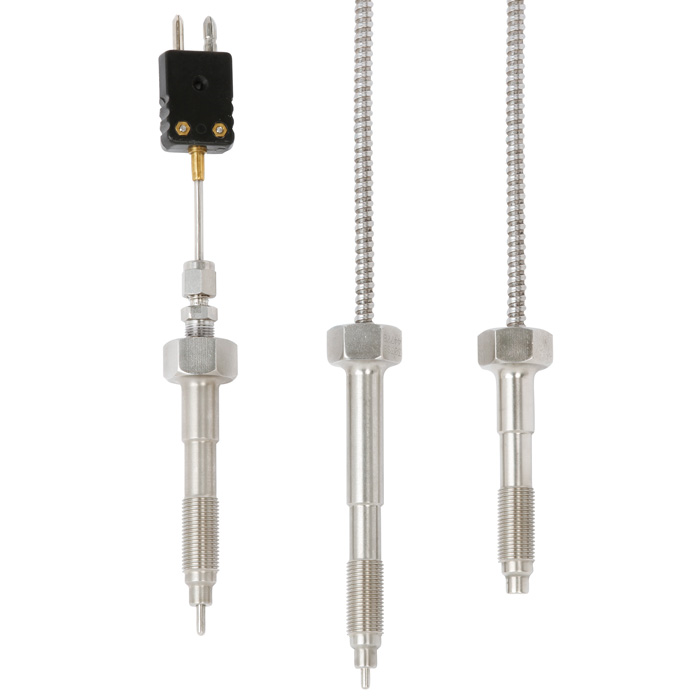 With the flexibility of assorted tip configurations and immersion lengths, the model TC47-MB thermocouple can be used in a wide variety of easily accessible locations. With the option of an adjustable compression fitting, this allows the sensor to be secured at a specific length into the process. They are especially suited for applications where the metal sensor tip is securely fastened into the media. The temperature sensor can be modified to suit specific application as required.